Welcome! Here at Mitchell Smile Design, we aim to provide a warm and friendly environment to meet you and your family’s most important dental needs. 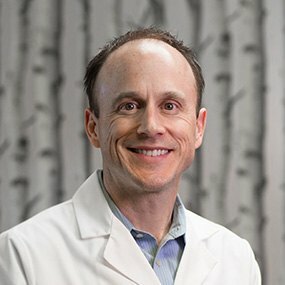 While visiting our site, we hope you’ll take a moment to read about the services provided by Dr. Brad Mitchell and his compassionate staff. If you have questions, please feel free to call or send us a message with our contact form. We always love hearing from our patients. We offer a wide range of dental services to meet your family’s diverse dental needs, from preventive oral hygiene to dental implants, Invisalign, and more. Let us be of service to you. Your introduction to our practice will likely be during a dental cleaning and exam. In keeping with the recommendation of the American Dental Association, Dr. Mitchell and his staff of dental hygienists and dental assistants would like to see you and each member of your family every six months for a dental checkup. At these appointments, we’ll refresh your mouth and brighten your smile by thoroughly cleaning and polishing your teeth. In addition, we’ll examine your entire oral space for signs of trouble—tooth decay, gum disease, or teeth that are otherwise damaged. We also perform an oral cancer screening, a disease that is highly treatable and curable when found early. If we do find a problem, Dr. Mitchell, the OKC dentist, has the restorative treatment you need to renew and rebuild your smile. A cavity can be repaired with a tooth-colored filling, which is made of composite resin materials blended to match the existing shade of your tooth. Tooth replacement for missing teeth can happen with dental implants or crown and bridge therapy. And if a tooth becomes infected deep within the pulp chamber, a pain-free root canal will remove the infection and preserve your tooth. Sometimes the dental care you need is urgent and, therefore, usually unplanned. For those emergency cases, Dr. Mitchell and his staff are here to offer prompt and appropriate treatment. When you experience an emergency, contact our office immediately. In most cases, we will be able to schedule a same-day appointment. Depending on the type of emergency, just 30 minutes can mean the difference between saving and losing a tooth. 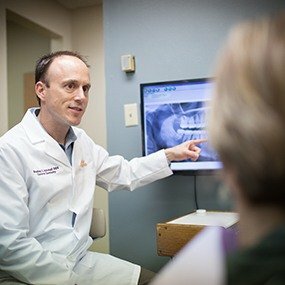 Oklahoma City dentist, Dr. Brad Mitchell, is proud to offer personalized dental services to patients in and around Edmond, Deer Creek, Yukon, Mustang, Bethany and Moore, OK. Since no two patients have exactly the same needs, he approaches each dental visit with a focus on your specific oral care needs, and will work with you to find just the right treatment solution. More importantly, Dr. Mitchell places a special emphasis on conservative dentistry. Preserving your natural smile is his foremost goal. That means he will only recommend dental services that are absolutely essential to your oral health. We strive for you to experience a lifetime of maximum health, comfort, function, and esthetics. Contact us today to schedule your visit with Dr. Mitchell.